Today, I’m going to continue to rant preach talk to you a bit more about mindfulness. If it seems like I’m ranting preaching talking about this topic a lot, it’s because I feel it’s one of the most important concepts I cover in Find Yourself on a Horse. Everything you do, every moment you spend with your horse, setting and achievement of every goal – all come down to this one concept. My challenge for you today is to see how often you catch yourself going through your day on autopilot – shoulders tense, mind going ninety-to-the-dozen, and generally feeling like a hamster on a wheel. When you find yourself in that place – bring yourself back to THIS place. 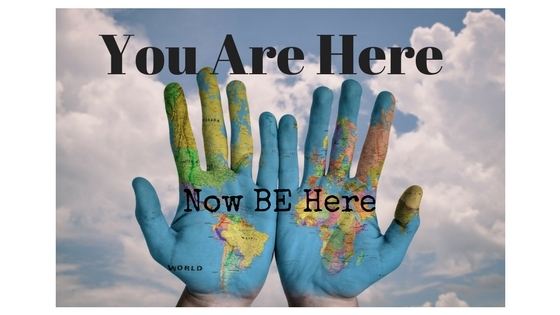 You are here – now BE here.